Telekom Malaysia announced the sudden resignation of its Acting Group Chief Executive Officer (AGCEO), Datuk Bazlan Osman effective today, 16 November 2018. He will also resign as Executive Director (ED) which will take effect on 28 February 2019. Datuk Bazlan was appointed Non-Independent Executive Director of Telekom Malaysia on 25 April 2008 and was TM’s Executive Director (ED)/Group Chief Financial Officer until 31 March 2017. He was then appointed ED/Deputy Group Chief Executive Officer (CEO) of TM effective 1 April 2017 and was appointed ED/Acting Group CEO of TM effective 6 June 2018. Telekom Malaysia did not disclose the reason of his departure. 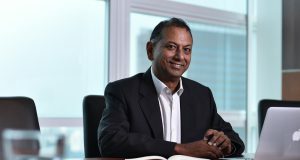 The new Acting Group Chief Executive Officer (AGCEO) is now Imri Mokhtar who is currently the Chief Operating Officer (COO) of Telekom Malaysia. However, TM did not say if Imri will serve TM in a dual role as COO and Acting Group CEO. TM does not have a permanent Group CEO since the resignation of Datuk Seri Mohammed Shazalli Ramly in June 2018. The resignation of Datuk Seri Shazalli also came as a surprise. Ever since, Telekom Malaysia have yet to appoint someone permanent to the role as the current Acting Group CEOs are temporary. Telekom Malaysia Berhad (TM) today announced the resignation of its Acting Group Chief Executive Officer (AGCEO), Datuk Bazlan Osman effective 16 November 2018. He has also given notice of his resignation as Executive Director (ED) which will take effect on 28 February 2019. Concurrently, TM also announced the transition of leadership to its current Chief Operating Officer (COO), Imri Mokhtar who will assume the role of AGCEO with effect from 16 November 2018. On behalf of TM Group, its Chairman, Tan Sri Dato’ Seri Sulaiman Mahbob expressed his highest gratitude to Datuk Bazlan for his exemplary dedication and contribution to the Group during his 16-year tenure. “The entire Board, management and Warga TM would like to record our heartfelt appreciation to Datuk Bazlan for his leadership and contribution to the Group. He has been an important member of our leadership team; ensuring sustainable value creation and preservation through financial and business discipline, as we execute our strategic initiatives especially in these challenging times. Datuk Bazlan is also a beloved leader amongst our Warga TM and will be remembered for his passion, strong work ethic, sense of purpose and noble values. We particularly welcome and are grateful for his intention to remain and facilitate the leadership transition to Imri up to 28 February 2019. We would like to take this opportunity to wish him all the best for his future endeavours,” said Tan Sri Sulaiman. 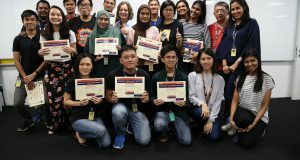 As Malaysia’s Convergence Champion, TM plays a unique role as an enabler for the nation’s digital economy aspirations, in line with our vision to make life and business easier for a better Malaysia. This is a promise we must deliver on, and I am confident that Imri and the team will work hard towards achieving our business imperatives and realising our corporate objectives,” Tan Sri Dato’ Seri Sulaiman concluded. 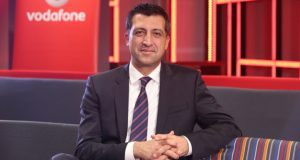 Imri, 45, recently appointed as the Chief Operating Officer of TM, is responsible for overseeing the business operations of TM Group. 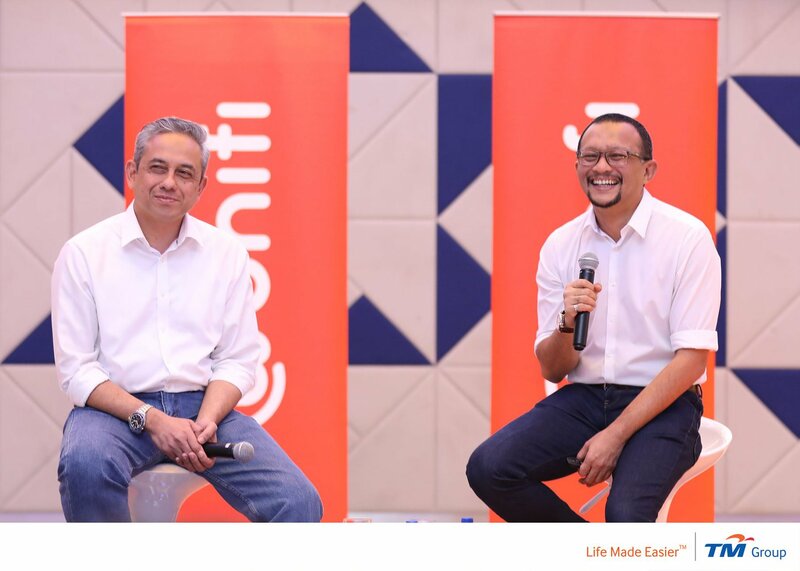 Prior to that he was the Executive Vice President of unifi, TM’s premier convergence brand, responsible for the end-to-end management of the converged portfolio comprising phone, broadband, mobile, TV, wifi and value-added services for TM’s home and SME customers. He brings over 20 years of experience in business strategy and operations from the communications and media industry. He first started his career with TM in 1996 and re-joined TM in 2005. He had served in various positions in TM including as VP, Programme and Performance Management Office and EVP, Consumer. Prior to re-joining TM in 2005, Imri was at a pay-TV operator in Malaysia and before that a consultant at a global management consulting firm. 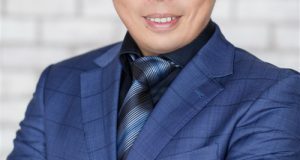 He sits on the boards of several subsidiaries within the purview of unifi business cluster including Webe Digital Sdn Bhd and as Chairman of TM Info-Media Sdn Bhd and Telekom Sales & Services Sdn Bhd. Imri graduated from University College London (UCL) with a Bachelor of Engineering (1st Class Honours), and has completed business and leadership programmes at Cambridge Judge Business School and Harvard Business School.